It has now been two years since Carlos Ferreira first introduced guests in his eateries to wines from his Portuguese estate in Douro, a region renowned for its port: a red wine, the Douro Superior Reserva 2012, a white, the Douro Superior 2012, and a rosé, the Douro Superior Reserva 2012.They are now joined in the Ferreira Group wine cellars by the white Douro Superior Reserva 2012 and – just in time for the Holidays – the Bruto F 2009, an espumante (sparkling wine) that will delight many a taste bud.The vines are grown in the ideal part of Portugal for this kind of wine. This blend of pinot (90%) and chardonnay (10%) is aged using the classic method of an additional bottle fermentation and then cellared for 36 months. 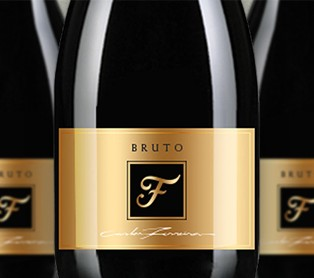 This sparkling wine’s rich palate is matched only by its freshness. Speaking of freshness, starting in spring 2014, Carlos will also be introducing his guests to a fresh, new olive oil from his wine estates. The perfect ingredient for the first salads of the season!